PROGRAM FEE: $3,000 including airfare, lodging, program coordination, and health insurance. Out-of-pocket expenses include passport, spending money and some meals. 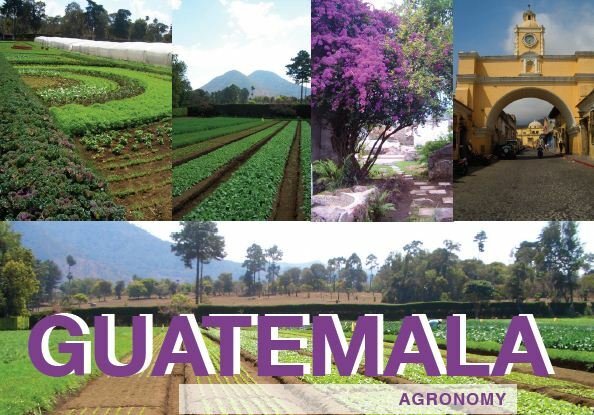 Students will participate in the design and construction of an urban planthouse as part of an agriculture volunteer project in Quetzaltenango, Guatemala. Students will have the opportunity to study Spanish, although not required, with their host families and individual teachers from the Hablemos Espanol School in Quetzaltenango (http://www.hablemosguatemala.com/). Students will visit local farms and help build the planthouse with the aid of engineers and technicians from the Instituto de Ciencia y Tecnología Agrícolas (ICTA). Groups of student will be assigned an area of expertise prior to the trip and will facilitate education activities with the volunteer personnel in the city regarding those areas of expertise. Education activities taught by the students will be in the Spanish language or other forms of non-verbal communication such as demonstrations and/or poster presentations. No previous use of Spanish is required for the course. Beginners, intermediates, and advanced speakers are welcome. Undergraduate and graduate students are required to have 15 credits in 300, 400, or 500 level courses in the Agronomy, Horticulture, or related area. All students are welcome to apply, although preference will be given first to graduate students and then to upper level undergraduates majoring in Agronomy, Horticulture, and Sustainable Agriculture. Evening activity: New Years Eve? Depart Guatemala City, en route to U.S.